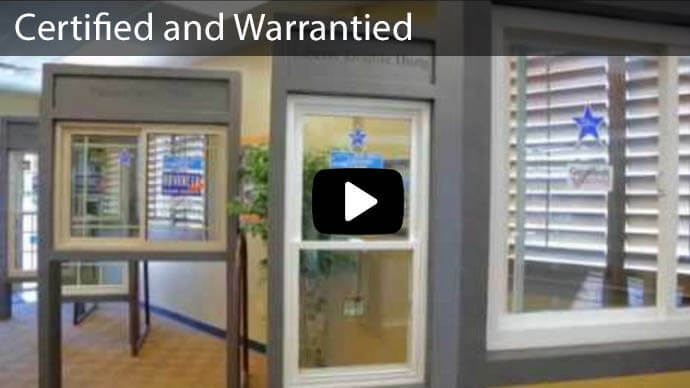 Advanced Window Products offers custom built replacement windows and doors of the highest quality available anywhere. By combining high quality craftsmanship with the latest advances in window and door manufacturing technology, we are able to offer sliding glass doors and replacement window products that are energy efficient, durable and really long lasting. This energy efficiency will not only decrease your energy costs, but your family will live in comfort all year long as our insulated replacement windows and sliding glass doors reduce the effects of the elements, keeping your home warm all winter and cool all summer. Our products offer a variety of features that enhance window and door functionality, including panes that tilt, swing open or can be easily removed to facilitate cleaning. When you are looking for ways that you can to improve your home, one of the best things you can do is give us a call to learn more about how our windows and related products like sliding glass doors can improve your life. Sliding glass doors, also known as patio doors, are visually appealing and offer homeowners a variety of practical features. Sliding glass doors are designed to open and close easily, with one panel gliding horizontally over the other. Since sliding glass doors do not open outward like hinged doors, they can readily fit into tight spaces and can be opened and closed without causing obstructions. Sliding glass doors give your home a fresh and open feeling as they fill your rooms with soft, natural sunlight. Our replacement doors and windows are energy efficient, durable and resistant to solar damage. With our easy glide technology, your sliding glass doors will work flawlessly and soundlessly, allowing your family easy access to the terrace or patio for all kinds of family celebrations, barbecues, and parties. Patio Sliding Glass doors with blinds between the glass are a beautiful light control solution with flexibility, a clean look, and add additional control over privacy. Learn more about this innovative patio door option of blinds between glass available from Advanced Window Products. Our sliding glass patio doors are made with highly durable frames that are easy to clean and virtually maintenance free. Sliding glass doors are not only great for newly built homes, but will also work well in any home remodeling project. Our sliding glass doors are cast using a hollow-core, multi-chambered extrusion process. This means that their sturdy construction will make them more energy efficient and weather tight than comparable products. Custom welded corners are weather tight and resistant to solar damage. With your choice of double-pane tempered glass, available in thicknesses including 3/4", 7/8" and 1 inch, your sliding glass doors are sure to keep cold air out and reduce your home heating costs. Our sliding glass doors are designed with a heavy duty steel roller assembly which runs quietly on a stainless steel track. Sound dampening technology effectively reduces sound transmission from outside. Our sliding glass doors are glazed on the interior side, creating a weather-seal while still allowing easy replacement of window glass from the inside. At Advanced Window Products, we know how important it is for your family to enjoy a warm and comfortable home. That is why we offer a wide array of high quality windows, doors – including pet doors – and related products and accessories that are crafted to improve the appearance, functionality and energy efficiency of your home. Give us a call at 801-505-9622 so we can help you with all of your sliding glass door and other window replacement needs. When you schedule a free consultation, we will be happy to go over all of the exciting features and benefits that our sliding glass doors and replacement window products have to offer. When you call, be sure to ask about our current online specials and free financing options!